For the Sole: A GRRRRRREAT WEEK! 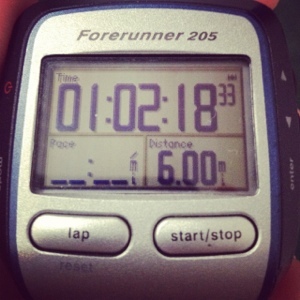 This week was a GREAT week of running! It's definitely been the best week in my running shoes I've had in months. 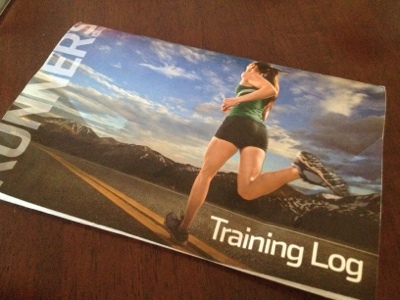 I've had a running log from my Runner's World subscription on my bookshelf for months. I have watched my, marathon/ultra running, Mother-In-Law fill hers out after running and thought it looked like a great way to keep track of my miles. 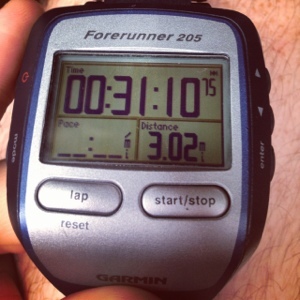 I had went back and forth between my Garmin 205 and the MapMyRun app on my iPhone during my runs this year. I went through and recorded all of my runs into the log. It was disappointing seeing blank spots where I know I should have been running, but instead came up with an excuse. Whether it was I was too tired, too busy or just downright lazy...I had an excuse. 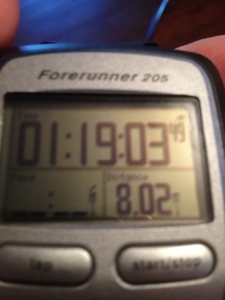 I will hit 200 miles tonight when I get in a VERY slow 3 miles to workout the soreness from my long run yesterday. The past is behind me and I can't do anything to change it. I'm pressing on and setting my goal at 500 miles for the year. I figured up the milage for my half-marathon training and figure that I will be at 475ish miles when I finish the the half-marathon in November. So hitting 500 miles is a good goal for me....I may up it just to keep me motivated not too put on any weight during the holidays, but we'll see. I watched my mother-in-law complete here first ultra-marathon yesterday. IT was an 8-hour race where you log as many miles as you can during the 8 hours. She had told me that once I finish my first half-marathon that I would catch the bug and be crazy enough to do a marathon, but I didn't. I still have no deep desire to do a marathon, but after watching the awesomeness of an ultra-marathon....I feel a twinge of craziness. So I'm in the beginning stages of figuring out my running plan for next year....so far it looks like I'll be doing the Illinois half-marathon in the Spring and then no races until the ultra-marathon at the end of summer. Glad you had an awesome week--you posted some great stats! Can't wait to follow your ultra journey! JP says you're going to love it--he's officially hooked!